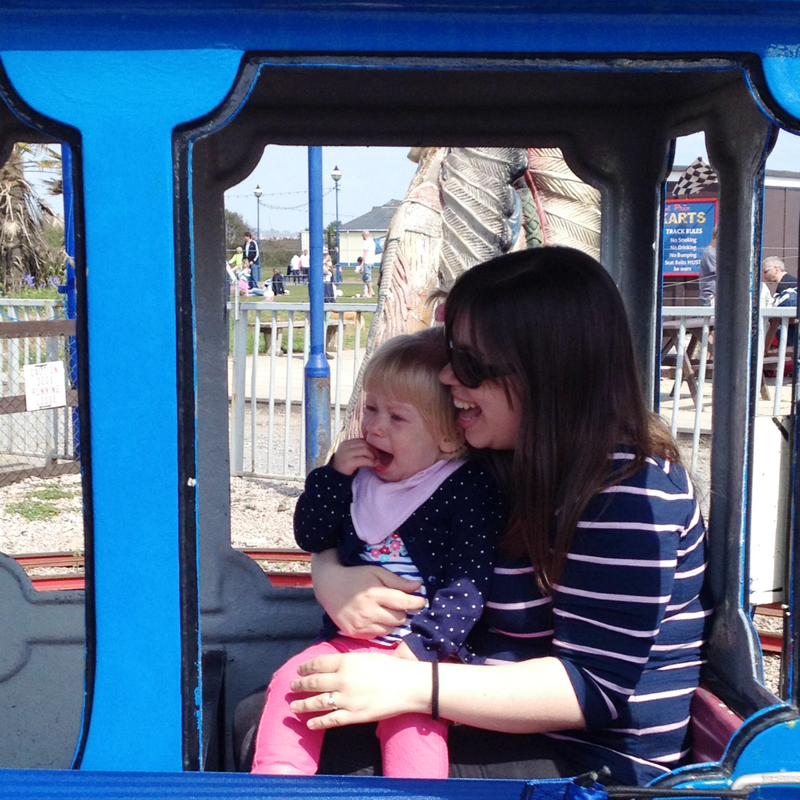 This was meant to be a happy memory, Lily's first train ride on holiday at Dawlish Warren. Instead, we had this, because she didn't "want Thomas to move". 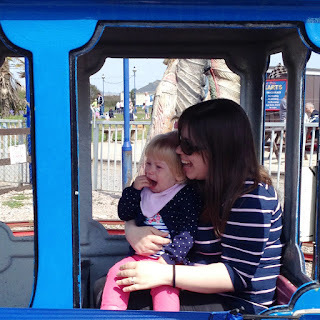 Check out my scarily enthusiastic 'happy face' as I tried to persuade her that it really was fun! Oh no! You never can tell which way it is going to go on these rides can you.